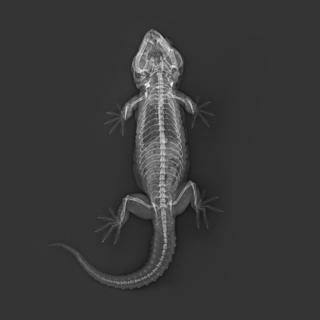 The expert veterinary team at ZSL London Zoo has shared a selection of X-rays made during routine health checks of its 18,000 animals. 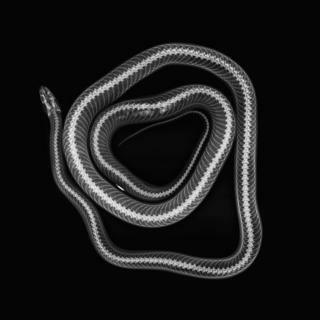 The images reveal the inner workings of a variety of different species, including frogs, snakes, geckos and turtles, and provide valuable insight for the vet team. “We can tell so much about an animal’s health from looking at an X-ray – from the strength of their bones to how healthy their heart is,” says ZSL London Zoo veterinary nurse Heather Macintosh. 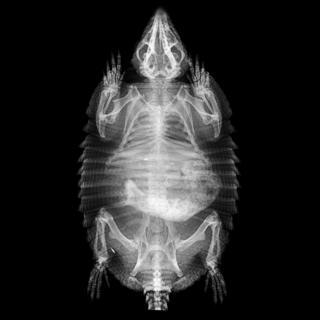 “They’re vital to our work – and even though we get to see unique X-rays fairly often, we still think that they’re absolutely fascinating. 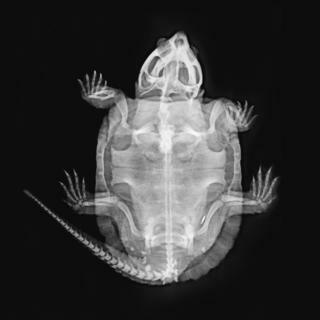 “Most people can recognise a human X-ray but they probably haven’t seen the individual segments of a large hairy armadillo’s exoskeleton or the long tail-bones of a big-headed turtle,” says Ms Macintosh. The pictures were released to coincide with ZSL’s Vets in Action event, which aims to educate visitors on the work that goes on behind the scenes.